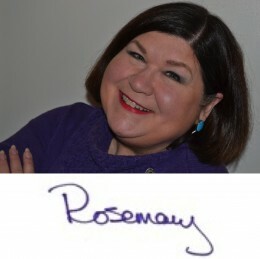 Greetings and a big welcome to those who are newly joining RosemarySpace! The Inspiration Video I’ll post here in a few days was recorded while we were in Puerto Rico with our coaching program and we had an amazing week on that beautiful island! I had intended to get this MoonLetter out on Friday, November 13 but the events in Paris eclipsed working on it. The New Moon occurred on Wednesday, November 11 at 12:47 pm Eastern Standard Time. The effect of a New Moon is felt for 3 days before the day and for 3 days after it is exact, so we had a full week of the effect, including during the events of November 13. Obviously this magazine was prepared and published way before the events in Paris but let us take the message to heart and focus on looking at our own shadows so that we can clear them and radiate the Light that we really are. Are you familiar with Crystal Skulls? I used to think they were kind of creepy but in the last year or so I have connected with some interesting people who have shown me that they represent consciousness that can help humanity to evolve. I now have two and think that, as they are a part of the Crystal Kingdom, there is an energetic connection to Earth Wisdom that meditation with them can facilitate. If you are interested and own a Crystal Skull or any kind of crystal, then join a worldwide group meditation on Sunday, November 22 at 1:00 pm Eastern Standard Time. Imagine what 15 minutes of meditation on peace can do for the world when people around the globe join in that intention. And don’t we really need it now? Join the Crystal Skull World Day Meditation for Peace from the comfort of your home for 15 minutes. Let’s see if we can create the very Peace that we seek. The upcoming Full Moon occurs on Wednesday, November 25, the day before Thanksgiving in the US. If you are traveling, remember that everyone will be a bit distracted so be careful! The Sun moves into the sign of Sagittarius on Sunday, November 22 so we’ll move out of the Scorpio intensity and into a focus on adventure and learning. Be ready.